No? Amaranth invested in highly leveraged real commodity markets; to my knowledge they abstained from investing in fictional commodities. It exists, at least I think it does. I paid about $104 USD for 50 grams of Molybdenum Hexacarbonyl from SIAL four years ago. Today 50g costs $122.50. I could have done better using an investment grade ABS strategy. 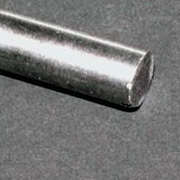 Molybdenum is used in x-ray tubes. But i suppose those don’t “exist”. Sheesh. How do you suppose they make some aircraft parts…look it up on Wikipedia. Just an FYI. I work for an IB firm recently retained to provide a valuation for a Moly r&d operation. This metal exists. The supply is higly limted and beyon medical there are several applications to LCD and Plasma flatscreens, I would say demand exists. Long. I think you mean will “allegedly sell” molybdenum. Alleged. GMO paid for 3 weeks in Eastern Europe last year. 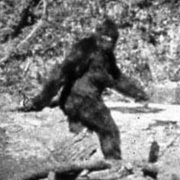 Some of the chicks were sasquatch! I didnt touch them but I bought a kilo of moly on ebay just to touch that.